The weather is perfect for a cabin retreat in the woods or the mountains. Whether you plan on spending a lot of time in the great outdoors during your retreat, or you plan on “roughing it” inside next to a fireplace, we’ve got you covered for what to pack. When you’ve got the right clothing, you can handle any cold temperature, and we’ll make sure you’re doing it in style! Originating in Scotland, tartan plaid is always a crowd favorite. It’s very traditional and most people picture this design when they think of plaid. 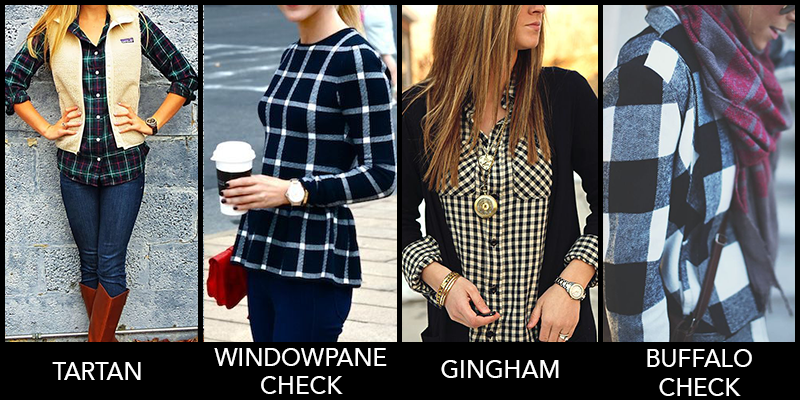 Named because of the fact that its pattern resembles panes of a window, windowpane check is popular in women’s tops and dresses. Remember Dorothy’s dress in the Wizard of Oz? Yeah, that was a gingham pattern. It’s very casual and fun depending on your choice of color. This plaid pattern is broad and checkered. It usually only has two colors, but the results are chic and stylish. No matter what pattern of plaid you fancy, it will look stunning against a woodsy environment. You’ll fit right in! We recommend throwing a plaid flannel shirt in your weekender bag. The material is super snug, and the button up feature gives it versatility. A vest is the perfect layer for a cabin-chic outfit. It keeps your core nice and toasty, and a vest can add texture to your ensemble. Depending on the weather, you can decide to layer a vest on top of a long sleeve shirt or wear it over a jacket. When choosing a color, you can’t go wrong with neutral tones like black, gray white or taupe. If neutral isn’t your thing and you adore some color, opt for a hunter green or a navy one. A thick scarf to muffle any cold weather that’s trying to ruin a great weekend is a must-have. Scarves are a great way to complement your cabin outfit. If most of the clothes you’ve packed are neutral, go with a thick scarf in a bright hue to add a pop of color to your weekend wardrobe. Go with thick fabric such as wool to keep you nice and warm. When you’re outdoors, layers of clothing and accessories that keep you warm will obstruct any neckwear you’d normally wear. While you’re inside, you won’t be weighed down by so much outerwear. Take this opportunity to accentuate your basic underlying layers with fun and bright jewelry. You can dress up a turtleneck or your favorite knitted sweater with a statement necklace. Check out our vast selection of neckwear that will complement any winter top. Statement earrings have already made their mark as far as trends go, and it doesn’t look like this movement is fading anytime soon. Large, intricate designs will complement your cabin chic look. No, we’re not talking about your dental headgear (although if you need it, you shouldn’t forget that either!). 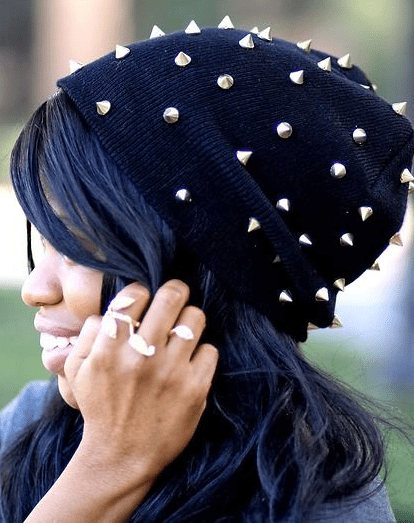 We’re talking about hats that will keep your ears warm and your style top-notched. From trapper hats to basic beanies, there are plenty of caps to choose from for your cabin retreat. Go with one that shows your personality, but still keeps you warm. Last but not least, bring your enthusiasm! Nothing can ruin a trip faster than a bad attitude. Try something new with your friends or significant other such as a snowmobile tour. Don’t like the outdoors, but love the view? Read a new book next to a fire in your cabin. Whatever you decide to do and however you decide to dress, always have a positive outlook and you’ll be sure to have a great time! Plan to go on a cabin retreat or already have? Share your photos of your cabin chic outfits and they could be featured on the blog!